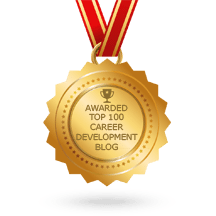 Are you looking for a Memphis career coach? Angela responds to all messages within 1 business day. If you have questions about Angela’s Memphis career coach services, reach out below, or visit her full FAQ career coach page here. Undercurrent – Young professionals’ networking group that hosts monthly social events around Memphis. South Main Association – Downtown Memphis neighborhood association. Hosts monthly meetings and frequent social events. Life Science Tennessee – Statewide, non-profit, member organization whose mission is to advance and grow the life science industry in Tennessee through advocacy, partnerships and alignment with economic and workforce development. Memphis Technology User Groups – Monthly technology meetups in multiple fields of interest. Over 2,000 members. Office of Sustainability – Various leadership opportunities are shared and organized through the Shelby County Office of Sustainability. Check out their newsletter.